It’s senior day. On a Saturday morning, five DePaul seniors are introduced before tip-off in the last regular season game of the season. From those who were there, the seniors receive a round of applause while they are honored at center court. But surrounding that applause is a sea of empty seats. Like most DePaul games, Allstate Arena remains barren. 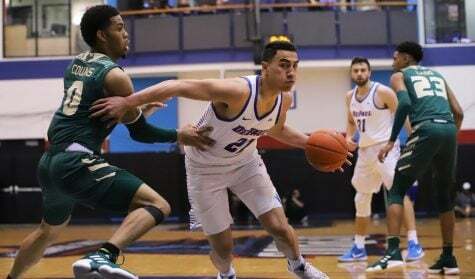 Attendance — those who actually show up to the games — for DePaul men’s basketball saw a slight increase for the second year in a row, but the paid attendance, or the number DePaul announces, fell for a third straight year in a row. 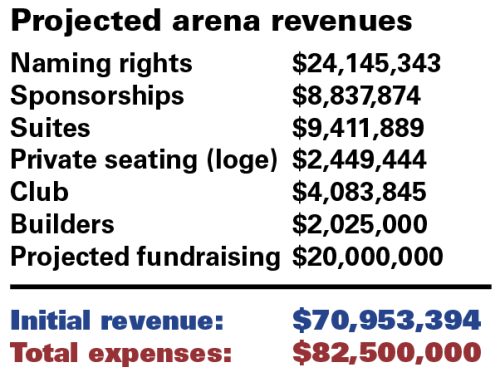 Both figures are far off from a projected study that said attendance at DePaul’s new arena will average 9,500 people, a projection that factored into the affordability of the arena. 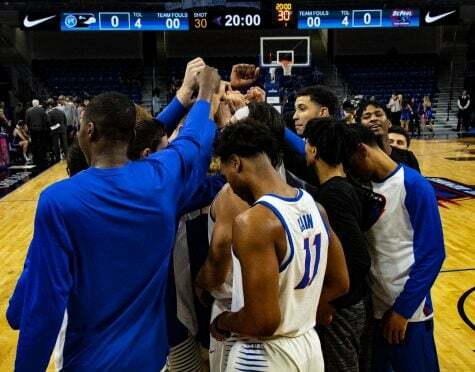 DePaul, per public records, averaged 2,395 fans for home games at Allstate Arena this season, an eight percent increase from the previous year. Attendance is counted as the bodies that pass through the turnstiles of the arena. Paid attendance is a different story. This season, the university reported an average of 5,514 for home games, DePaul’s lowest mark since 2002. The figure marks a three-year skid where DePaul has reported a declining attendance. The disparity in the two figures has to do with a multitude of factors. 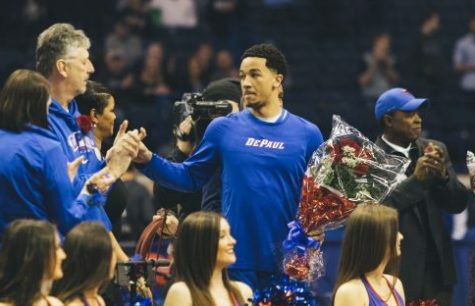 Like many colleges and professional sports, DePaul routinely gives away tickets, such as to charities or students, and marks that as paid attendance. Lenti Ponsetto also said it has to deal with those who choose not to go to games. 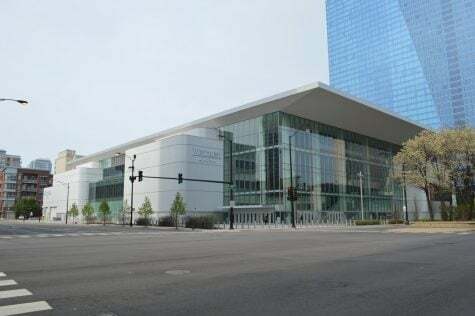 DePaul has one remaining year left at Allstate before moving into the $200 million arena being constructed in the South Loop. DePaul will be on the hook for $82.5 million of that amount. 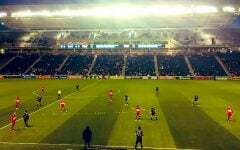 Before the project was announced in 2013, consulting firm HVS concluded that the arena would generate an average of 9,500 attendees per game.The arena will be able to host up to 10,000. 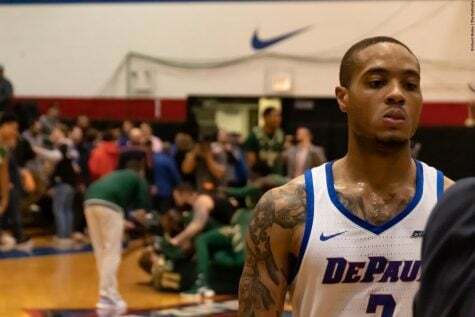 “(The consulting firm) looked at 20 years worth of data, and having looked at really good years and really not some good years, and looking at DePaul’s attendance through that time period,” Lenti Ponsetto said. “Anytime you move into a new building, there’s always an uptick in attendance. People want to see what the shiny new and bright thing is. 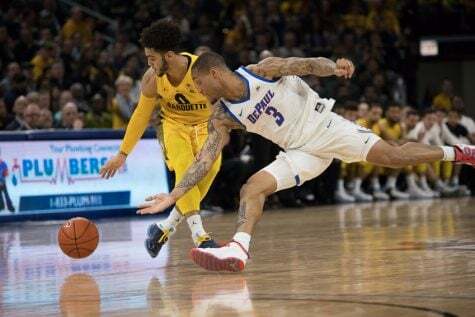 Dynamic ticket pricing, or the ability to price games at different costs, is an aspect DePaul has rarely implemented in the past, with the exception of raising ticket prices for higher profile games like Marquette. The university also hired a sports marketing firm, Legends Marketing, to assist with selling premium seats in the new arena, including club seating and the six suites DePaul owns. Legends Marketing declined to be interviewed for this story. As for the slight rise in this year’s attendance, Lenti Ponsetto said that DePaul’s internal marketing staff made a conscious effort to target alums living near the city and to try and engage students on campus. 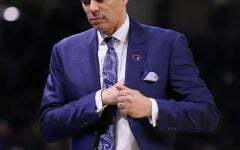 She also pointed to the hiring of head coach Dave Leitao, which made people curious about how he would shape the team. 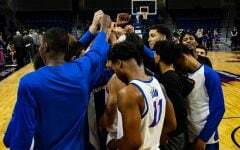 Make no mistake, though, the Blue Demons suffered another losing season and didn’t exactly make noticeable improvements throughout the year. The 2,395 average was the fourth lowest mark since 2002, Leitao’s first year as head coach. The program is banking on Leitao turning around the program from year to year like he did in his first stint from the 2002 to 2005. Attendance under Leitao did gradually improve, but it was nowhere near a 9,500 average. 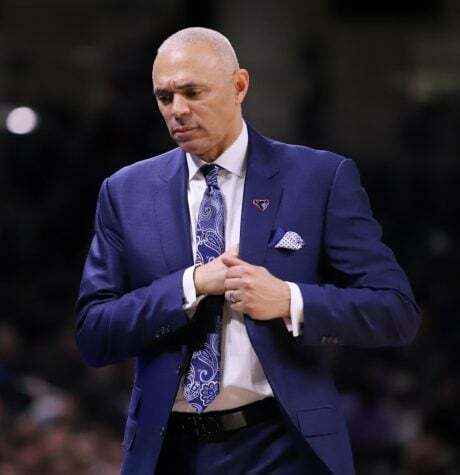 In the 2004-05 season, the year after last DePaul made the NCAA tournament and Leitao’s last season before leaving for a head coaching job at Virginia, the Blue Demons drew an average of 3,291 fans. It was a point that Lenti Ponsetto disputed, pointing to the paid attendance numbers. In 2004 and 2005, DePaul averaged a paid attendance of 9,160 and 9,867 respectively. Again, paid attendance does not reflect who actually shows up to the games. In the last 10 years, DePaul’s highest attendance at Allstate was an average of 4,790 fans. But it’s important to note, the sporting market has certainly changed during that time. Attention is divided now more than ever, and people have more options in terms of entertainment. Lenti Ponsetto said she is “concerned” that paid attendance has dropped. 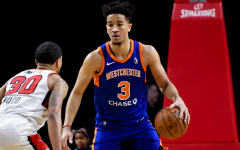 “Ideally, what you want to do is create a fanbase that has a level of stability going forward, but the reality is that with the incredible saturation of television … it’s going to have an impact on attendance,” Lenti Ponsetto said. “When you’re in a big market and you have a lot of competition, if your team is not super good in every given year, you have to have some really strategic marketing strategies in place to keep your audience super engaged,” she added. 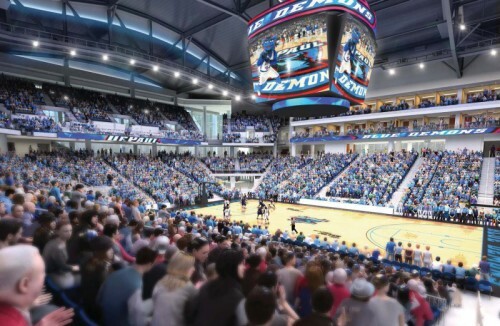 Since the project was announced, DePaul officials have maintained that the university will pay for the arena with a combination of revenue from naming rights for the stadium, corporate sponsorships and ticket sales. The large majority of that income will be from naming rights. 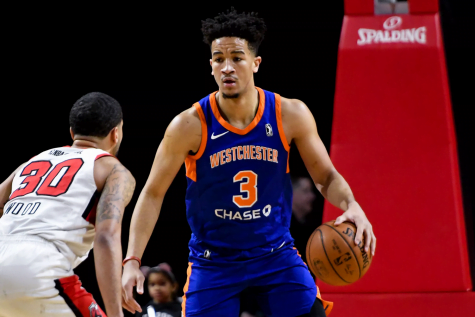 In a contract between McPier, DePaul and Legends, Legends projected that the naming rights fee will secure just over a projected $24 million. To add context, the University of Illinois secured a 30-year, $60 million commitment from State Farm in the renovation of their campus arena. DePaul has yet to secure a name partner for the arena, though, and is still searching. Lenti Ponsetto said there have been initial talks with a couple of companies, but they are looking for the right fit. The university has also raised more money from fundraising. 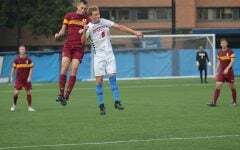 DePaul’s goal is to raise $20 million and so far, they have raised $9 million, a $2 million increase from November. DePaul has stressed that tuition and operation budgets won’t be affected by the project. While Lenti Ponsetto said it was “incredibly important” to meet those projections, she slightly downplayed the importance of attendance figures in relation to cost. 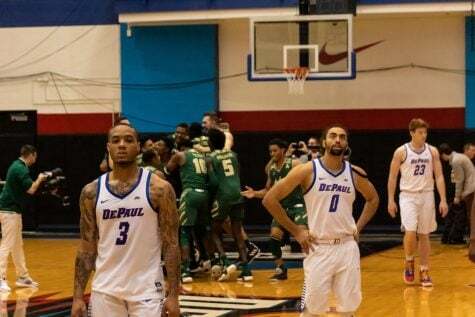 Editor’s note: This story has been updated to include an attendance figure from DePaul’s last home game against Seton Hall from Saturday, which was previously unavailable on the initial print deadline. That changed this year’s attendance from 2,445 to 2,395.